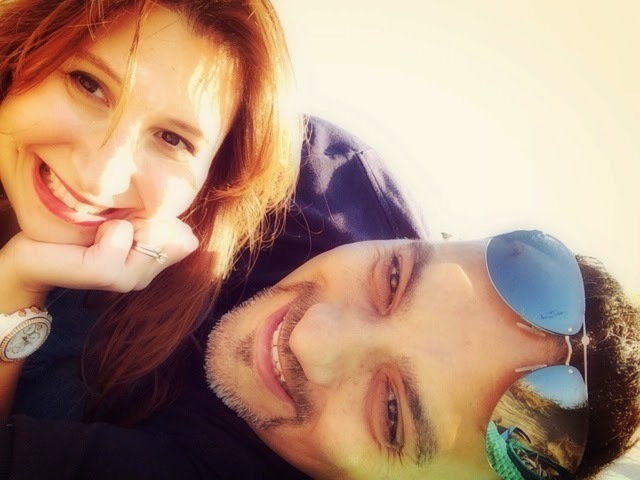 I've been holding off writing this post, because I wanted to bring you sunshine when the weather wouldn't be so good any more. But I can't hold it off any longer, I wanted to give you the chance to visit this wonderful place next Bank Holiday weekend, if you have nothing else planned! 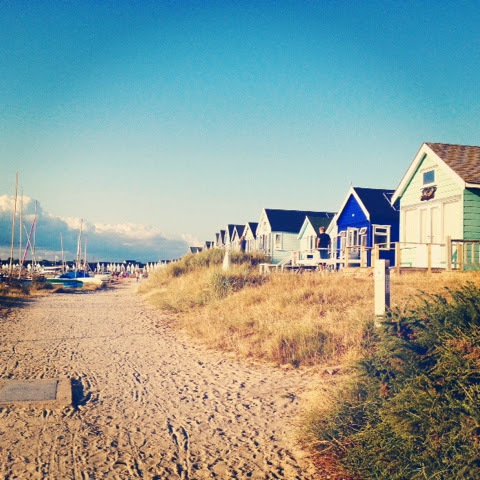 Mudeford Beach lies where the two rivers (Avon & Stour) that unite at Christchurch, meet the English Channel. As such the beach is split in two. 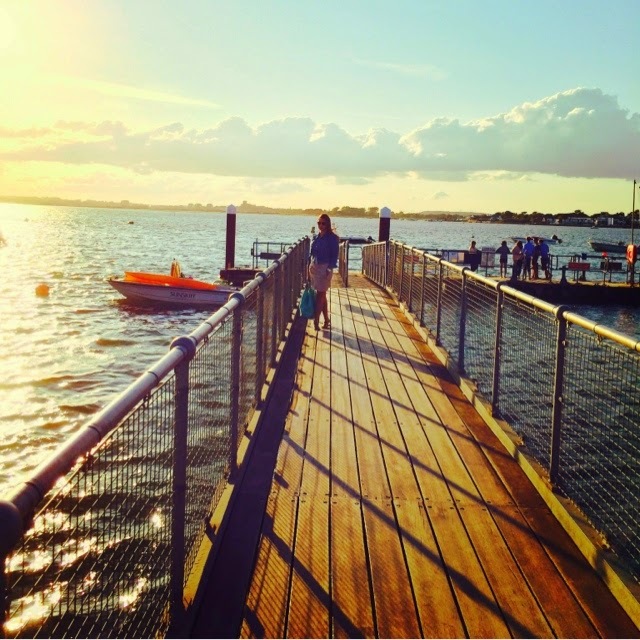 One side, Mudeford Beach and Quay are easily accessible by car. They boast the riverfront Christchurch Harbour Hotel , where we had dinner that same evening, watching the moonlight float on the calm waters of the naturally formed harbour. 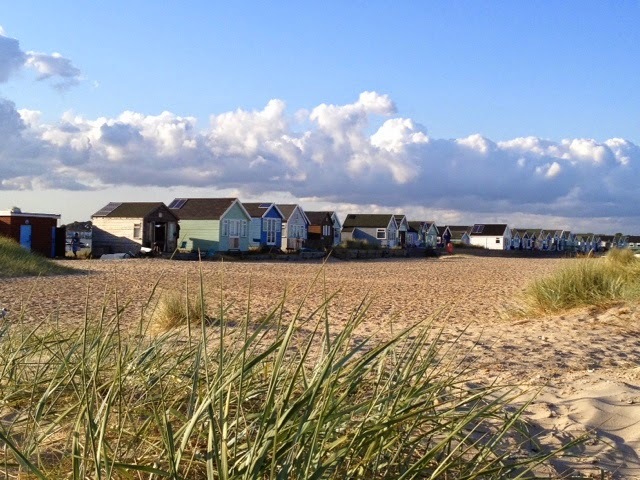 The other side is Mudeford Sandbanks, it can be reached by a 5-minute ferry ride from Mudeford Quay or by a land-train from Hengistbury Head Car park. We opted for the ferry and it was such a inexplicable thrill getting there. It's so close, you could practically swim across to the Sandbanks, if it wasn't for the strong current forcing the river waters out in the open sea. And yet, the idea that you are dependant on the weather to get back home, or buy groceries makes it seem so isolated and wild. I actually think we are not used to planning ahead any more, so the idea of bringing along all the necessities, is kind of daunting. 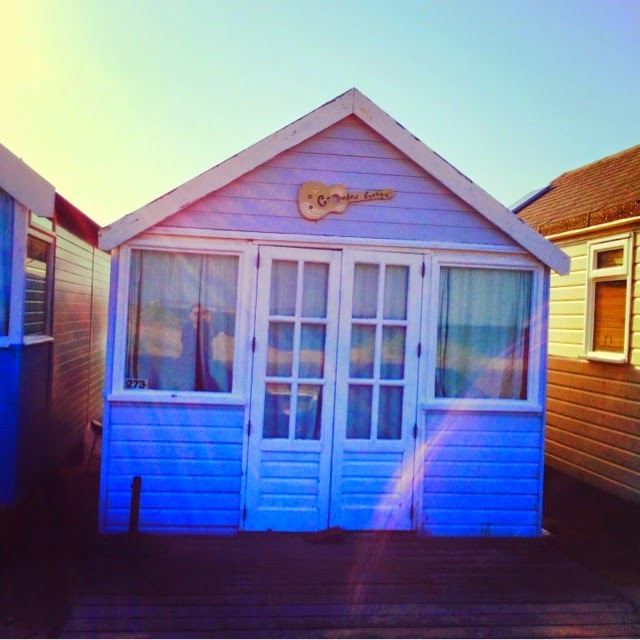 Fact: the beach huts are some of the most expensive in the country! No electricity, no toilet, no running water...we were wondering why people would spend all this money to stay there. Slowly and surely we got our answer. First of all ,there is a beach restaurant, right where the ferry drops you off. So if you run out of food and drink, you are sorted! Also, amongst the huts there are public toilets and showers every so often, so you don't need to worry about personal hygiene either - just bear in mind that walking is involved, if you happen to need the loo in the middle of the night! The huts are bigger than they look and with very clever interiors, they accommodate up to 4 people to sleep. They all have little kitchenettes in the corner, with gas cylinders for cooking but the best part is BBQ, off course. We were still there around seven in the evening and the place couldn't have been more alive. The side facing the Channel is windier but calmer in terms of noise and people. 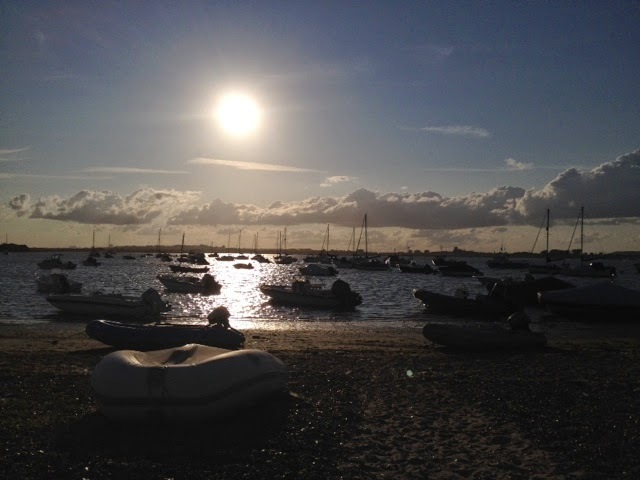 The other side, facing Christchurch Harbour catches the last sunlight and is a bit busier. Groups of friends, complete with kiddies, doggies and beers were firing up the barbies, tickling our noses dangerously. Shall we go and introduce ourselves? In other huts groups of younger boys and girls were winding down after a full day's windsurfing and jet skiing on the beach with their perfect tans, watching movies on their laptops...see this place works for everyone! It's so funny that although I've travelled around the south English coast a lot, it never fails to impress me. It makes me wonder why people go abroad so much? 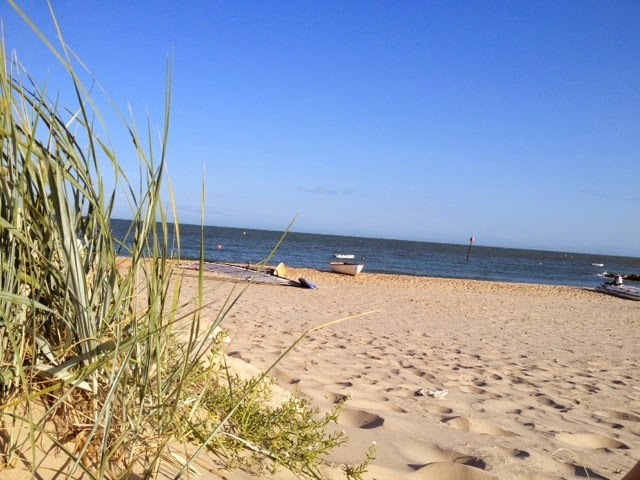 Well, the weather is the obvious answer, but sunny days down here are spectacular! Time to catch the ferry back... thankfully just as the sun was setting. We caught a marvellous sunset at the far end of the harbour, with the waters turning orangey and the youngsters still sailing around in their speedboats. I thought everybody would be flocking to the ferry but no one was moving. People were still outside their huts, chatting, drinking, joking...a very relaxed atmosphere. You guessed right: we reeeeeeealy didn't want to go.